RURAL INFRASTRUCTURE PROJECTS: DOT intends to award a greater share of BUILD Transportation grant funding to those efforts. BUILD Transportation grants will replace DOT’s TIGER grant program. Fiscal year 2018 BUILD Transportation grants are for investments in surface transportation infrastructure. BUILD funding can support roads, bridges, transit, rail, ports or intermodal transportation. The United States Department of Transportation (DOT) today published a notice of funding opportunity to apply for $1.5 billion in discretionary grant funding through the Better Utilizing Investments to Leverage Development (BUILD) Transportation Discretionary Grants program. BUILD Transportation grants will replace DOT’s Transportation Investment Generating Economic Recovery (TIGER) grant program. Fiscal year 2018 BUILD Transportation grants are for investments in surface transportation infrastructure and are to be awarded on a competitive basis for projects that will have a significant local or regional impact. BUILD funding can support roads, bridges, transit, rail, ports or intermodal transportation. “BUILD Transportation grants will help communities revitalize their surface transportation systems while also increasing support for rural areas to ensure that every region of our country benefits,” said Transportation Secretary Elaine L. Chao. The Consolidated Appropriations Act of 2018 made available $1.5 billion for National Infrastructure Investments, otherwise known as BUILD Transportation Discretionary grants, through September 30, 2020. For this round of BUILD Transportation grants, the maximum grant award is $25 million, and no more than $150 million can be awarded to a single state, as specified in the Appropriations Act. At least 30 percent of funds must be awarded to projects located in rural areas. To provide technical assistance to a broad array of stakeholders, DOT is hosting a series of webinars during the FY 2018 BUILD grant application process. 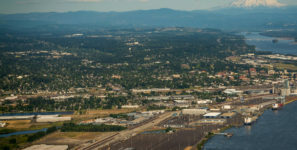 A webinar on how to compete for BUILD Transportation Grants for all applicants will be held on Thursday, May 24; a webinar for rural and tribal applicants will be held on Tuesday, May 29; and a webinar on how to prepare a benefit cost analysis for a BUILD application will be held on Thursday, May 31. All webinars will take place from 2:00-4:00 PM EDT. Details and registration information regarding these webinars will be made available here. The department will schedule additional webinars on these topics in June.